Select from our Continental and Traditional Scottish Breakfast options to refuel your body and start your day off right. 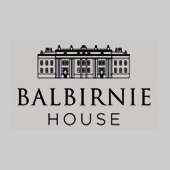 At Balbirnie House breakfast is served in The Orangery Restaurant which overlooks the front of the house and here you can start your day in a relaxed way. Full Scottish and Continental buffet Breakfast is served seven days a week from 7am to 10am. You can also arrange a room service delivery.